Kucoin is a new emerging cryptocurrency exchange which was launched on September 2017 and is gaining a who;e lot of attention. In a short span of 5 months they have achieved so many milestones which are nearly impossible for any new cryptocurrecny exchange. Kucoin comes up with an Invitation Program in which you will earn 20% of trading fees of your direct referral. Join using our Kucoin Referral Code and start trading on Kucoin. Some months ago first NEO ICO, RPX token got listed on Kucoin and to trade RPX I registered on Kucoin exchange. They have their own token KCS, Kucoin shares. At that time Kucoin was giving free 5 KCS to new users and for each referral they were giving 10 KCS. KCS token value was around $0.5 at that time but now 1 KCS = $20. So if you would have registered at that time and were still holding KCS then you would have earned $100 for free. I am glad that I haven’t sold my free KCS back then and I am still holding them. I think price will increase even more. Major Cryptocurrency exchanges like Binance, Bittrex, Cryptopia have stopped new registration due to overload. Check my review of Best Cryptocurrecny Exchanges. I think Kucoin will be one of the top crypto exchange very soon, so it would be better to register on Kucoin today otherwise get frustrated if registration stops. Bittrex and Poloneix were my favorite exchanges but no new coins got listed on them frequently so I shifted to Binance exchange, Join Binance with our Referral Id here. So far very happy with Binance due to smooth interface and lower trading fees.The cool thing about Kucoin is that they keep adding new good altcoins frequently. You will find a plenty of new gems at Kucoin, buy them at Kucoin for dirt cheap price before they hit on bigger exchanges like Binance,Bittrex. 2.1 Why to Join Kucoin? 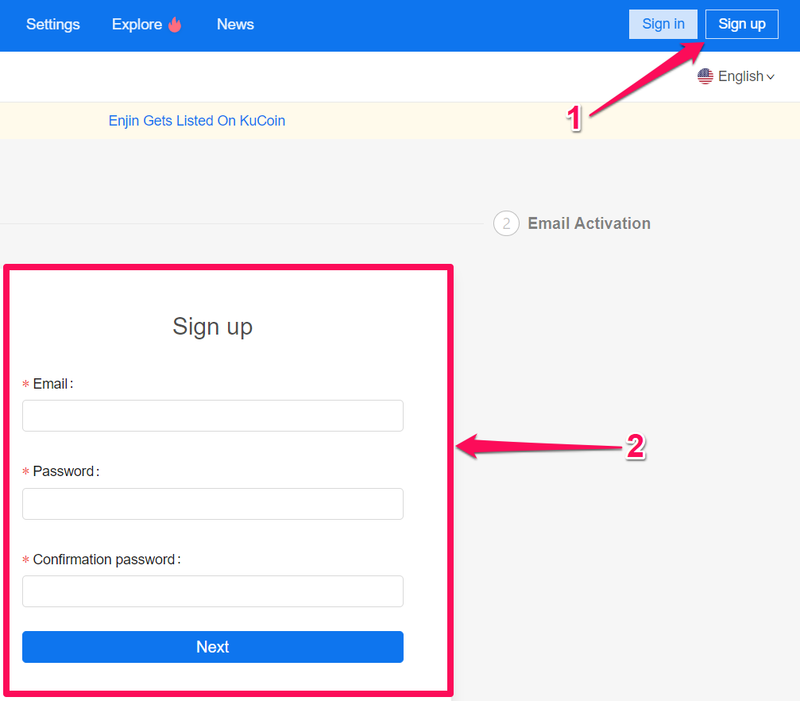 4 How to Get Kucoin Referral Link ? 1. 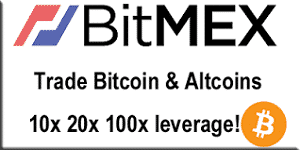 New Altcoins : If you want to invest in new altcoins with possibility of 10x gain in future when they get listed on bigger exchanges. 2. Lower Trading Fees : If you use KCS to pay for trading fees then you will get 50% discount, similar to what we see in Binance with BNB. 3. Fast Support : Heard many times that Kucoin has a fast customer support. Can’t confirm this as never needed to contact support. 4. Referral Program : If you invite anyone to Kucoin you will earn passive income with referral bonuses. 5. 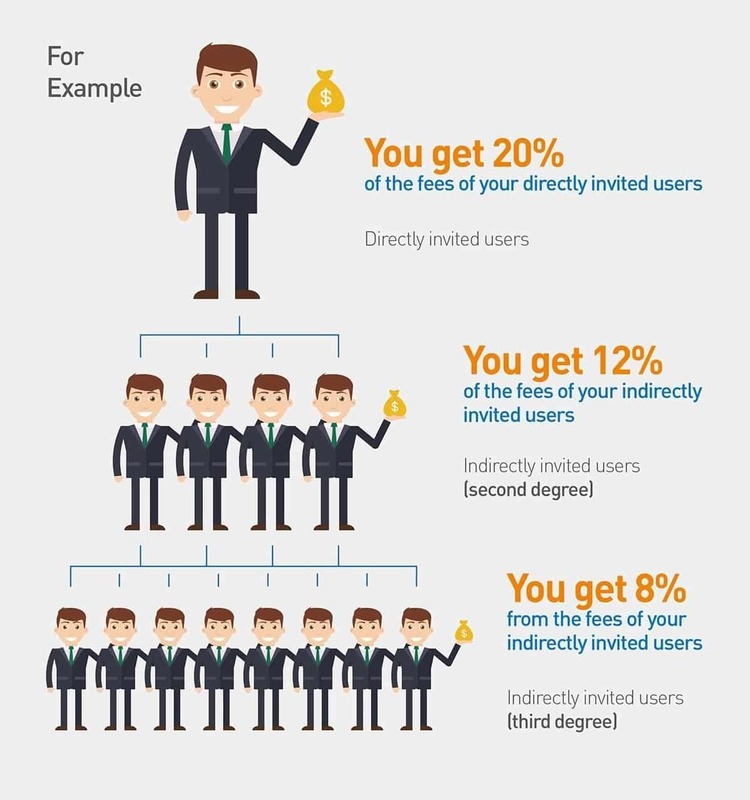 Multi Level Referral Program : Not only you will earn trading fees cut for direct referral but if your referred users refers other to Kucoin then you will earn commissions from those joining too. Its much like we see in multi level marketing, see image below for more clarification. 6. Limited Opportunity : Kucoin exchange goal is to become top 10 crypto trading platform by June 2018. I think that will happen sooner, so its better to join Kucoin today as new registrations are still open. I don’t want you to get frustrated over signup as we are seeing now on Binance and Bittrex. 7. Mobile App : Like Binance, Kucoin does have a mobile app which was launched on November 2017. So trade on the go. 1. Visit our Kucoin Invitation Link. 2. Click on Signup (top right) and enter required details. 4. Deposit any tradable coin to start trading at Kucoin. How to Get Kucoin Referral Link ? 1. Login to Kucoin and from menu choose Explore >> Invitation Bonus. 2. Copy the link and share it on social media, your network. 3. Tell your referral to use KCS for trading fees so that they will get 50% discount on trading fees. It’s a win-win situation for both as your referred users will get discount on trading and you will earn commission every time your referral makes a trade. 4. Encourage your referred user to refer others so that you can be benefited by multi level invitation program by Kucoin. At time of writing this post Kucoin referral commission is set at 20% but no guarantee it will remain same in future. Referral bounty added to account instantly once trade is made by referred user. You can refer as many people as you want, their is no limit on number of referral. For a success referral your referee must register on Kucoin using your referral link,referral code, QR code. Invitation program can end any time. There is no limit on total referral bonus you can earn. Hope you liked our article about Kucoin Invite and Earn Promotion. For discussion use the comment box below and do share this article within your network. Ah man! Literally like 15 minutes too late. I just signed up on Kucoin, and would definitely have used your referral. Sorry! signing up now and you beyond deserve all the referrals your time to help all of us out is priceless and remembering we all started some where.